Which Board is Best for You? 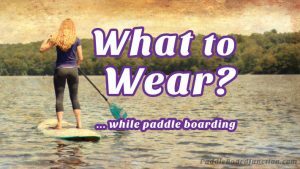 Looking for the best affordable paddle board on the market but don’t want to get taken for a ride? 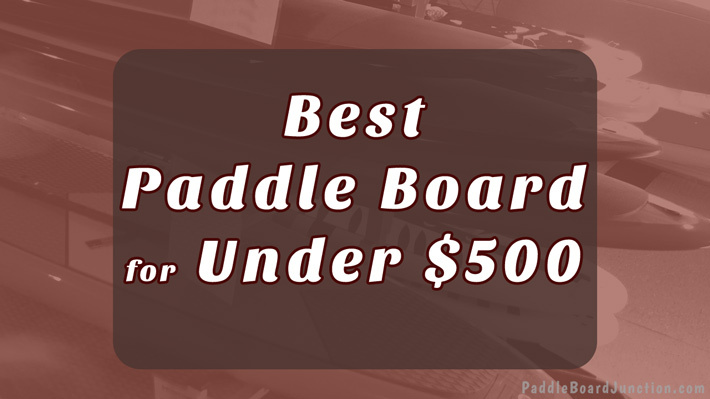 Here’s the best paddle boards for under $500 that you can buy right now without any worries! Paddle boarding is the perfect activity for the summer. You can enjoy the heat while testing your balance and stability. But with spending your time in the sun comes spending your money. Paddle boards, especially the more advanced ones, can be a serious strain on your wallet. 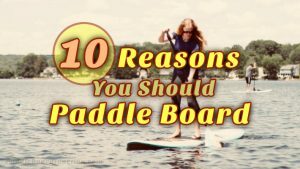 If it’s your first time paddle boarding, you don’t want to spend all your savings on your first board. 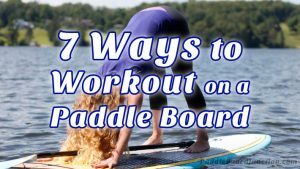 And if you’re looking for a new activity that the family can enjoy, these affordable stand up paddle boards are perfect to get the whole family out on the water. This board economical SUP is ideal for users who want to bring any equipment for their travels. It includes 8 D-rings: 4 with a bungee cord, 2 for an optional kayak seat (which matches the paddle board), 1 for a leash and 1 located on the bottom to tow. You can bring anything you may need and still have room for more. It’s constructed with incredibly tough drop-stitch material, so if you’re trying to cut through harsh waves, this board can withstand all conditions. And while you’re riding in those rough waters, the anti-skid EVA deck pad ensures that you’ll stay on your feet. It’s safe, it’s strong, it’s everything you’d want in an SUP for half the price. The SportsStuff Adventure 1030 measures at 10’6” length by 30” width and 4” thickness. It can hold up to 250 lbs and comes in a beautiful blue, green, and orange color that is sure to stand out in the shining sun. 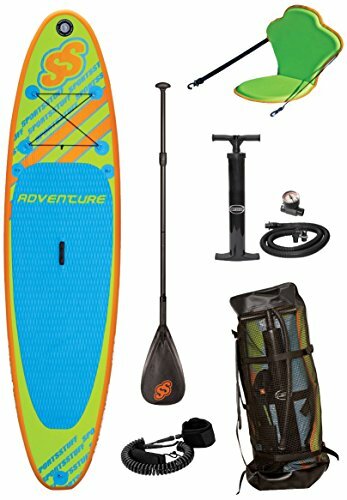 The Solstice Bali is another good option if you have a lot of equipment to bring with you and are looking for a new paddle board that costs under 500 dollars. It features four stainless-steel tie downs and an additional D-ring towards the back for an optional leash. This board is built with highly durable multi-layered PVC material, keeping it intact if you’re riding in a rocky area. The wideness of the board allows for extra stability, so there is no way you’re falling off. The EVA traction top guarantees maximum comfortability as you’re riding, so even if you do find yourself in that “rocky area,” you’ll have smooth sailing. The Solstice Bali measures at 10’8” with a 4-inch thickness, but it can be deflated to 32”. It weighs 39.4 lbs and can carry up to 250. This iSUP comes in a grey/orange color and is the perfect board to bring on your family trip. 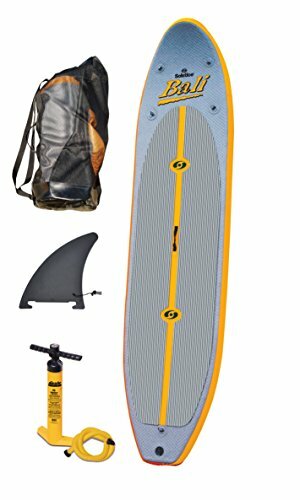 This iSUP is insanely affordable and comes with everything you need to get out on the water! The PathFinder iSUP is built with layers of PVC material, like the Solstice Bali, so there’s no doubt that this board will withstand any challenge it may face. The deck pad is not only large, but it’s comfortable on your feet. You’ll have the stability you need with that extra cushioning you want. This board thrives in all water, from flat to shallow. And if you’re looking to tackle some waves, the detachable fin allows riders to use this board in whatever area they want. From long distance to occasional yoga, this board does the trick. And if you’re looking for another board that offers a great bungee-system for all your belongings, you won’t be disappointed. It features a D-ring towards the back for a leash, as well. The PathFinder 9’9” measures at 30” width and 5” thickness, making it even more durable. It can hold up to 240 lbs and comes in blue or orange. All three of these boards offer incredible stability, especially for being inflatable. They can hold a ton of equipment or anything you may need on your trip. They can compete with harsh waters, but work well no matter the condition. The Solstice Bali works best for beginners who still want to practice on calmer waters. Take your family out for a day of paddle boarding fun. 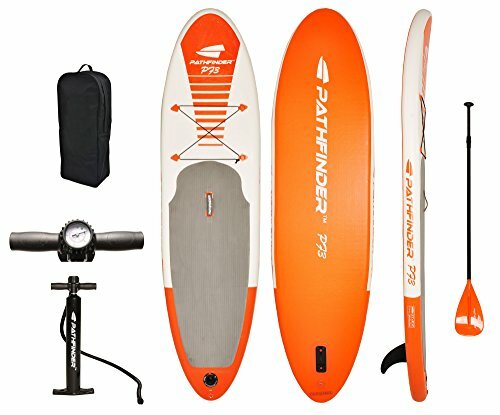 If you’re still looking for a board that you can use with your family, the PathFinder 9’9” has room for both an adult and small child (or maybe a pet), but since it holds a little less weight than the other two boards, it should be limited to two. For more experienced riders, the SportsStuff Adventure is the one for you. It can keep you secure while fighting against violent waves that you’re more likely to encounter as an advanced user. When my wife, Zoe first got her paddle board she was having a ton of fun. I was hesitant on buying my first board because they can be a wee bit pricey. I missed a good part of the paddling season because of my hesitation. I finally got a board and realized all of the fun I was missing. 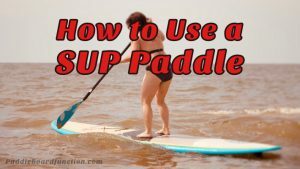 All of these stand up paddle boards mentioned here will get you and your family up and paddling for minimal cost. You can always make more money but it’s hard to make memories and experiences!